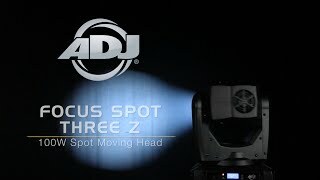 Considering purchasing the American DJ Focus Spot Three Z Pearl? Have questions? Ask people who've recently bought one. 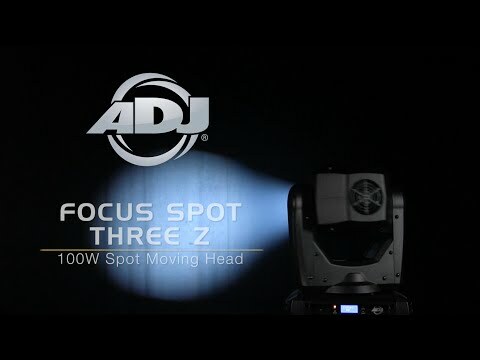 Do you own the American DJ Focus Spot Three Z Pearl? Why not write a review based on your experience with it. Hi Paul, You need to turn the automatic focus on. Also its best to use mydmx3 software (or similar), to get the most out of the lighting as it is a stage light. Hope that helps? Nice bright light. The term focus spot is a bit misleading though as my gobos seem to be anything but in focus. Seen a video for American DJ Focus Spot Three Z Pearl online or have you own video? You will earn 3,540 loyalty points with this product worth £8.85, when logged in. Check out American DJ Focus Spot Three Z Pearl on DJkit.com!